The following press releases are available for download in PDF. June 2018 – Cortina Watch, a leading retailer of luxury timepieces in Asia, subtly re-opened its popular Raffles City boutique on 4 June 2018, Monday. The multi-brands boutique, carrying 19 international brands, unveils a newly conceptualized look and feel for its interior, with the main intent being to improve in-store customer experiences. November 2017 – Cortina Watch officially opens its 10th multi-brands boutique at Mandarin Gallery, situated in the heart of Orchard Road with 13 international brands. November 2017 – This year Cortina Watch celebrates its 45th Anniversary at Ritz Carlton Hotel and saw more than 630 guests arriving for the gala dinner. Notable guests like Mr. Thomas Kupfer, Ambassador of Switzerland to Singapore and social A-listers graced the event to celebrate this special occasion. September 2017 – Patek Philippe welcomes watch aficionados to its newly relocated boutique at Suria KLCC shopping mall in Kuala Lumpur, Malaysia. 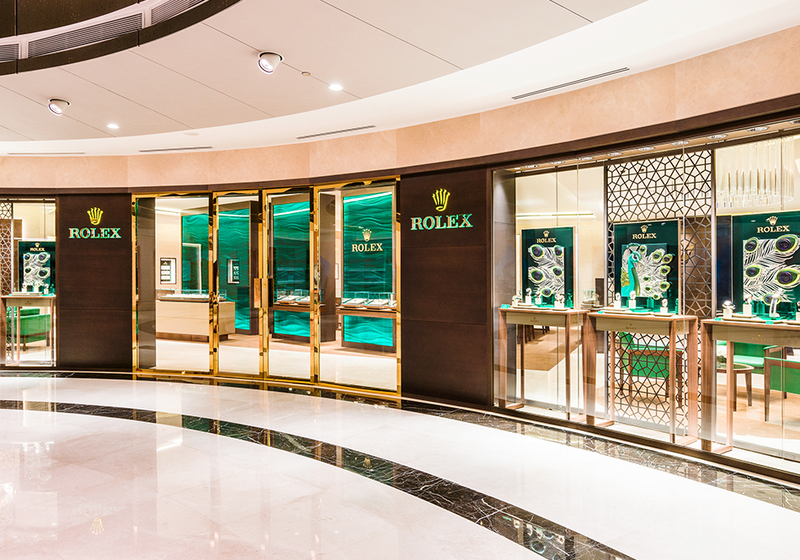 Unveiled after four months of refurbishment, it showcases an impressive selection of the brand’s exquisite timepieces. August 2017 – Asia’s leading retailer and distributor of luxury timepieces, Cortina Watch today officially launched its new boutique in IMAGO Shopping Mall Kota Kinabalu, Sabah. This new boutique features a modern luxury concept with bright lights and wide spaces while ensuring an intimate retail experience for our esteemed customers. August 2017 – Cortina Watch is honored to be the main presenter for the Timepiece Exhibition week from the 7 to 13August 2017. In conjunction with the Swiss Embassy and the Swiss Chamber, Cortina Watch invited 4 Swiss brands to participate in the timepiece exhibition, namely; Chopard, Corum, Hautlence and Zenith. December 2016 – Patek Philippe celebrated the grand re-opening of its boutique at The Shoppes at Marina Bay Sands in partnership with Cortina Watch. This marked the end of the 10 weeks major refurbishment since its first opening in 2010. September 2016 – Rolex and Cortina Watch officially launched the new Rolex Boutique at Marina Square, on 1 September. Over 300 distinguished guests joined in the celebrations for this momentous occasion. May 2015 – Patek Philippe officially opened its doors to welcome our customers and friends of the media to the newly refurbished Boutique. Guests were treated to a delectable selection of canapés by Grand Hyatt Hotel and wines at the cocktail reception outside the Boutique. September 2012 – Cortina Watch Pte Ltd proudly unveils the opening of our latest timepiece boutique, “TimeWise by Cortina Watch” – a celebration of Swatch Group’s timepiece brands brought together in one abode. November 2012 – Leading watch retailer Cortina Watch held a spectacular black tie gala dinner in commemoration of their 40th Anniversary on 15th November 2012. Over one thousand guests, including VIP customers, media and watch industry principals who especially flew in from Switzerland, were in attendance to celebrate this milestone with Cortina. January 2011 – Patek Philippe, together with Cortina Watch, has opened a second boutique in Singapore at the Marina Bay Sands (MBS) integrated resorts.